Moms And Dads Share The Parenting Advice They Wish They Had Known Before Kids : Goats and Soda Mom and dad bloggers share their insights. We'd love for you to answer, too! 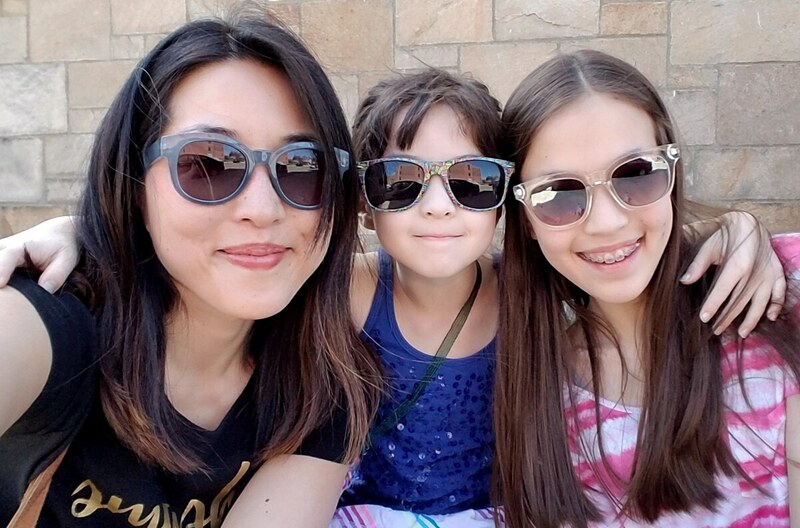 Christine Koh and her daughters. To kick off our series, we invited five mom and dad bloggers — including a dad of six (!) and a mom who travels the world with her 7-year-old daughter — to share their insights. One parent wishes someone had told her that having a kid won't make you feel "stuck." Another wished he'd been warned that parenting was a lot like "playing chess with speed metal music." Read some of the responses below for inspiration, then share your own story on Twitter or Instagram using the hashtag #HowToRaiseAHuman. Photos and videos are encouraged. We are collecting stories until June 30. We may feature your post on NPR. Christine Koh is a neuroscientist, the blogger behind Boston Mamas and author of Minimalist Parenting. Her daughters are 7 and 13. Modern-day parenting is about making sure you do all the things, making it to all the events, striving to perfection. It's just an impossible standard. I used to be on that hamster wheel. But I've found repeatedly that even though these mistakes are painful, it's led to positive learning. Last week, I was scheduled to travel to California for business. And just a week before I learned that my 13-year-old was going to deliver an important speech for the National Junior Honor Society. There was no way I could be in two places at the same time. I couldn't shift my schedule around. I felt awful. But it helped me realize that she didn't need me to get through this. Her dad was there, her teachers were helpful and supportive. It was a good reminder that this one moment doesn't define us and our relationship. 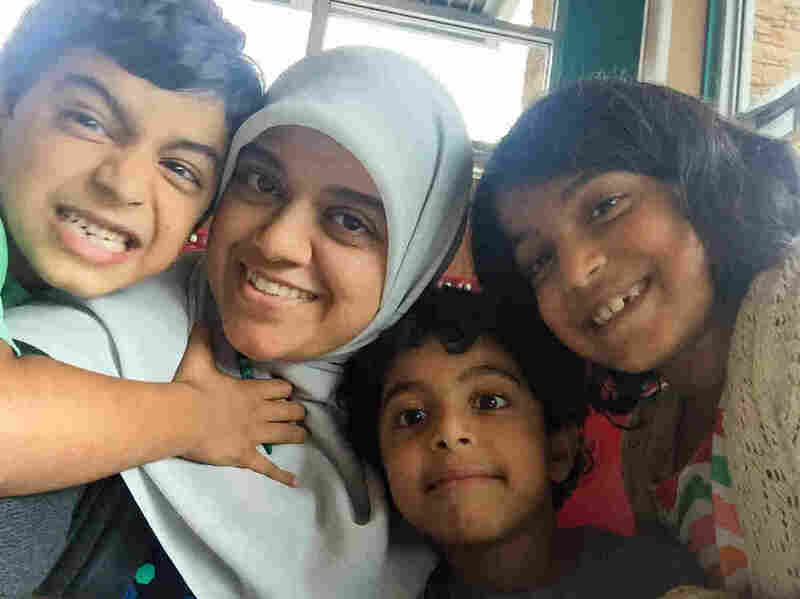 Saira Siddiqui, 38, a mom to 10-year-old twins and a 6-year-old and the writer of Confessions Of A Muslim Mom. I wish someone had told me to block out the outside voices that come when you become a parent — and pay more attention to the children and what their needs are. But we've taken an untraditional path of schooling, where we "unschool." We don't follow traditional homeschooling. Part of the reason is because we were paying attention to what was working for our children. Each of my kids is completely different. One child tends to be more analytical and precise. This child tends to be more excited about computations, riddles and problem-solving. I have another child who I call my "liberal arts" child. This child likes reading, writing and art. Because of our schooling [style], the children have time to pursue the types of things [they're interested in], allowing their strengths to get stronger. Alan Lawrence, 43, is the father of six kids, ages 2 to 14. He is the founder of That Dad Blog. I wish someone told me that there are going to be moments where you're playing chess with speed metal music in your ears. You're trying to make intricate choices but there's so much chaos. Last night, I was busy making hamburger patties. One of my young sons was screaming. He was very hungry and losing his patience. Then my other son came into the room with a stuffed animal and was feeding it something. I was assuming it was raisins. But it was a piece of poo from his diaper. Yet I was in complete control. I finished making the patties, washed my hands, consoled my son who was crying and asked my older kids to help me clean up the poo. I thought to myself: look how far I've come as a parent. You just need to take a breath and make the next move. Drea Duclos, 33, is the mother of a 7-year-old and founder of OhDearDrea, a travel and lifestyle blog. I've don't like being stuck in a structure: go to school, get a car, get married, have a kid. I never fit in that mold. The idea of having a kid, I thought I was going to be stuck. I wish someone had told me that even though your life changes when you become a parent, you still get to create the path you want. We made the decision a year ago to live outside the country [of the United States] to Mexico. For me, travel means everything. For my daughter, she gets to learn so much more through experience. One of her passions has been fashion design. We've been taking her to textile markets in Guatemala and embroidery shops in Mexico. In Nepal, we took her to like 5 million different stores! She likes to see the different textures and how they're made. She sews, freehanding different patterns. 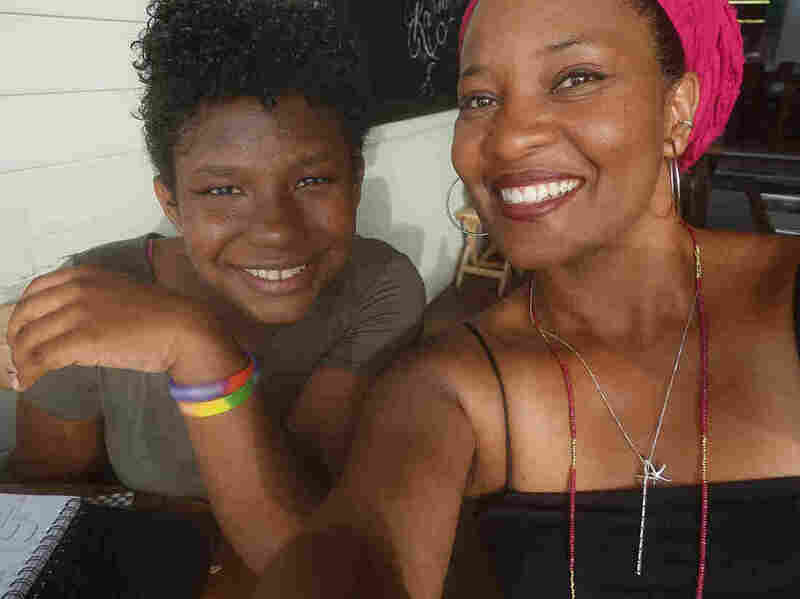 As long as I'm raising a good, kind, gentle human who is experiencing the world and learning all the things she should, then I'm doing OK.
Karen Walrond, 50, is the mother of a 14-year-old daughter and the blogger behind Chookooloonks. Parents always told me to brace myself for the teen years, because that's when they'll hate you, be disrespectful to you, be sassy, talk back to you, be rude, be generally awful people. But I wish that someone had told me that's completely wrong. My daughter is 14 now. I have to say, so far, teens are delightful. She is so much fun. We have deep conversations at night before she goes to sleep. We talk about her friends, memes that are funny, dumb stuff. She loves a good political joke. And right now we're watching Lost In Space on Netflix. Neither of us are allowed to watch without the other. We'll sit and have a running commentary: "Oh no, he did not just do that!" I keep saying, every age my daughter has ever been, it's my favorite age. But maybe her as a teenager is my favorite. Parents mess up. It comes with the job. What's the one thing you wish someone had told you before you became a parent? Share your advice, along with a photo or video, using the hashtag #HowToRaiseAHuman. We are collecting stories until June 30. We may feature your post on NPR.